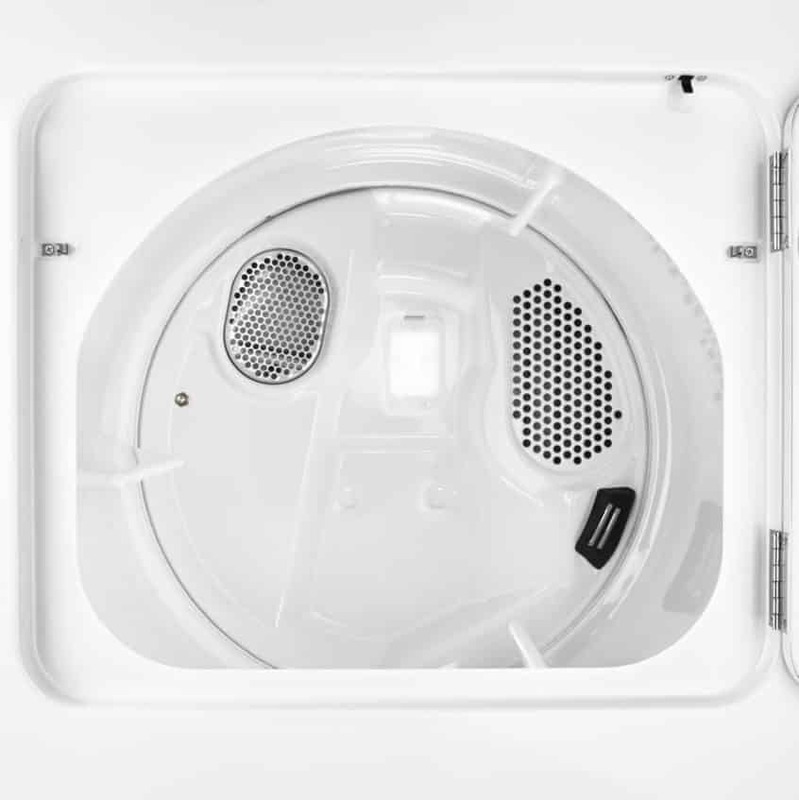 Whirlpool Alpha electric dryers come with a steam function for better drying, but if you notice that the steam function suddenly isn’t working, the water inlet valve may be the cause. Order the replacement part #W10815373 and follow these steps to access and replace the part with just a few hand tools and half an hour’s time. Unplug the dryer and turn off the cold water supply. You should always shut off the power to appliances during inspections and repairs, especially if they involve water. Remove water supply line and the external venting from the back of the machine so you can access behind the machine. There may be some water already in the supply line, so be sure to have a bowl and cloth on hand to remove the water. Remove the top part of the rear panel and slide the top panel off completely. Then remove the rear panel. This gives you full access to the internal parts of the dryer. Disconnect the water inlet valve wires and unscrew the mounting bracket. The valve will be at the bottom of the machine and is a blue piece connected to wires and its own mounting bracket. If you’re unfamiliar with a dryer’s wiring, take a picture of the wires’ colors and orientation before disconnecting them so you have a guide during reassembly. Once the mounting bracket is free, unlock the supply line from the water inlet valve. Do this by turning and depressing the locking mechanism around the supply tube. Replace the valve. Add the new valve by adding the water supply tube and putting the locking mechanism back into place. Then reattach the new part’s mounting bracket with the old screws and reconnect the wires to the terminals. Reattach the rear and then top panel, and then attach the vent and water supply lines. Your steam function should work again now that the machine can correctly introduce water to the system. Dryers can be tricky to repair, especially since there are a few steps before you can even see the inner workings. If you want to tackle a few more repairs while your machine is open, go to Fred’s Appliance Service for more guides and tutorials.